Dr. David Fitzpatrick is a 1986 graduate from the University of Illinois Veterinary Medicine. He started his own practice in Manhattan, Illinois in 1990 and moved to the present location in Kankakee in 1994. Dr. Fitzpatrick has recently retired from the position of Chief Harness State Veterinarian. David has a lifelong relationship with horses growing up on a horse farm in Buckingham, Illinois. Dr. Fitzpatrick is a member of the American Association of Equine Practitioners, Illinois Equine Practitioners Association, Society for Theriogenology, American Veterinary Medical Association and the Illinois Veterinary Medical Association. 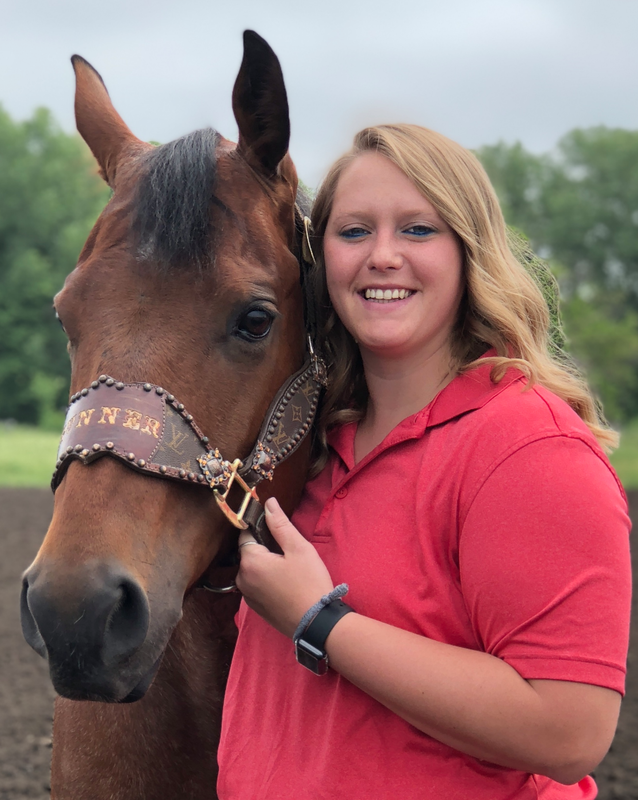 Dr. Chaney Tambling is a 2018 graduate from the University of Illinois College of Veterinary Medicine. She grew up on a farm in Dwight, IL and has been around horses since she first started walking. Dr. Tambling is the newest addition to our team and she’s very excited to get to work! She’s a member of the American Association of Equine Practitioners, the Society is Theriogenology, and the American Veterinary Medical Association. Justine is our Veterinary Technician with 30 years of experience. Justine was born on a horse and we think she has a little horse blood in her. (Not to be confused with Charlie Sheens “tiger blood”). Justine is the Doctors second pair of eyes, hands, and muscles. Usually, if you see the doctor you will see Justine right behind him. Ask her most anything about horses and she will know the correct answer. Justine is a huge benefit to our trio! Mr. Whiskers is our Official Greeter and Head of Security.